At the age of 18 I got my first taste of overseas conservation research. We were based near the tiny rural settlement of Tsarakibany with an aim to investigate the health of the remaining secondary forest ecosystems in the area. We trekked across the golden grasslands exploring patches of forest on the hillsides and within the valleys. Over the next 10 weeks we photographed, collected, measured, and weighed every critter we could get our hands on. 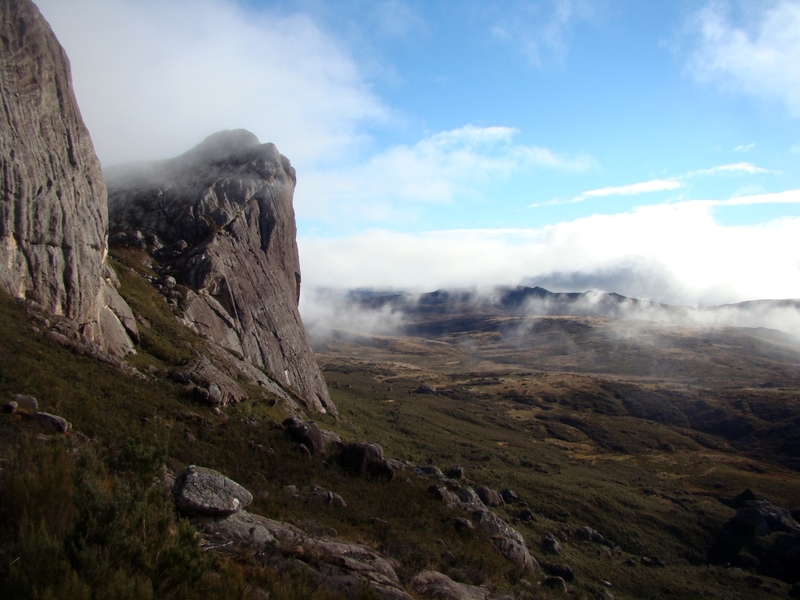 Bird surveys began at the crack of dawn; which during the Malagasy winter, can be surprisingly chilly. The endangered Sanford’s brown lemurs Eulemur sanfordi would drop by camp every few days allowing us to count them. We only discovered a few small troops but their presence alone illustrated the importance of these forest habitats. We were always warmly welcomed at the village by smiling faces and a chorus of “Hello’s” from the kids so we tried to fit in a few English lessons each week with separate classes for the adults and children. Most Sundays we would be challenged to a football match, and lose; swiftly drowning our sorrows with a glass of some of the strongest rum I have ever tasted. The village chief managed to find any excuse for a knees-up, and his little shop by day, would become the venue for the evenings drinking and dancing once the sun went down. Our expedition team was only small meaning the 10 of us quickly grew to know each other well. An understanding friendship helps during strenuous tasks like digging pitfall traps in humid 30 degree heat. It was definitely worth the effort though, when the following day, I peer down into a bright red bucket to see the angriest small mammal I have ever seen; an Asian Musk Shrew Suncus murinus; the biggest shrew on earth. One of the most untouched forests we found, lay in a long wide valley about an hour from base camp. Rising above the last hill crest, we would be faced with the breathtaking view of Madagascan Flying Foxes Pteropus rufus circling above the forest canopy, so we named this forest, ‘bat roost’. Falling in love with Madagascar is not difficult. Its stunning landscapes, strange creatures and lively culture make it a beautiful place to be, but it was also here that I became fascinated by dragonflies and subsequently undertook my first piece of odonatological research. “What amazed me at the time was how a community of less than 200 people who live a 6 hour zebu cart ride from the nearest town, live a mostly subsistent lifestyle and all share a single television can be happy…but it seemed that they were. And the longer I live the hectic western lifestyle the more I understand how their smiles could be so big and genuine. They don’t have much, so there is space for smiles; we have so much, sometimes we don’t have time to smile.